Spandex 6 & O Men 2 on Comixology! 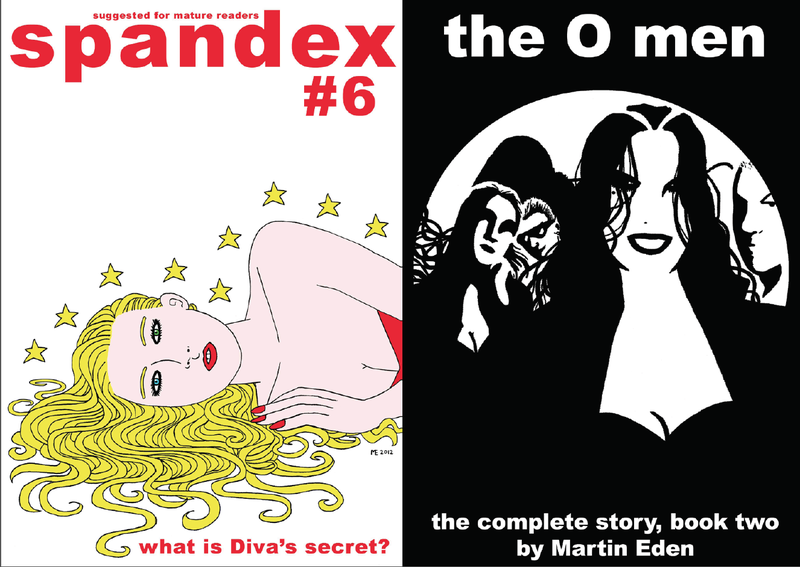 It’s a big day for me, as I have two comics going up on Comixology (digital comics app/website) – Spandex 6 and O Men Book 2. Spandex 6 is one of my favourite issues I’ve ever made, and if you’ve never tried one of my comics, I’d love you to read this one. It has a huge twist (and you don’t actually have to have read the whole series to follow it). Also, after a bit of a gap, O Men Book Two is going on sale. It’s a whopper, containing issues 8 to 17 of the series, with crazy storylines involving Agatha Christie, Sylvia Plath and Jane Austen! It was mostly done in my late 20s and I think my style was really starting to evolve here.